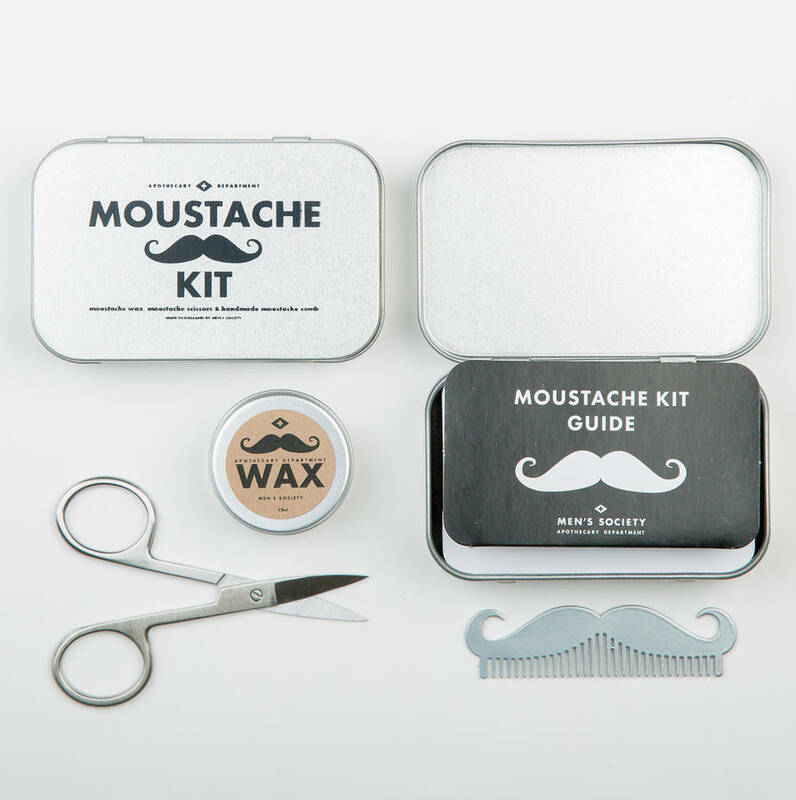 The perfect gift set for any man with a moustache. This kit is everything he needs to keep the handlebars on point. It'll raise a smile but this is no novelty throwaway. 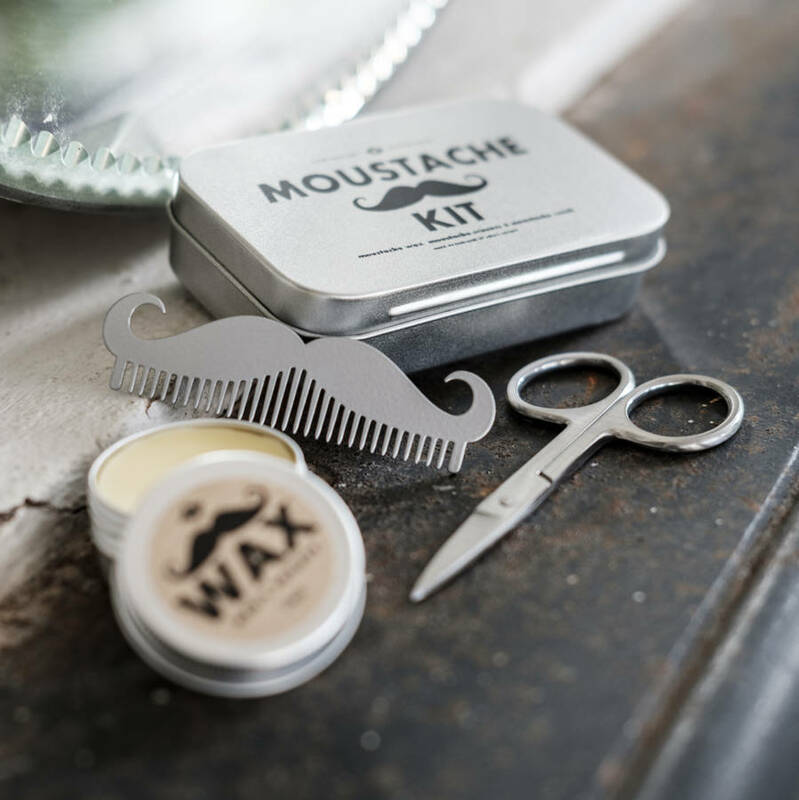 Whether he's channeling your inner 80's icon of steel, Tom Sellek or creative genius Salvador Dali, the all natural ingredients of this 'tache wax will help him to achieve it. We use beeswax for firm hold with a natural touch, vitamin E to nourish and coconut oil to keep that bad boy lip rug super slick. He will love our handy comb to groom, though he may want to perfect his finger twiddle to achieve the desired look. 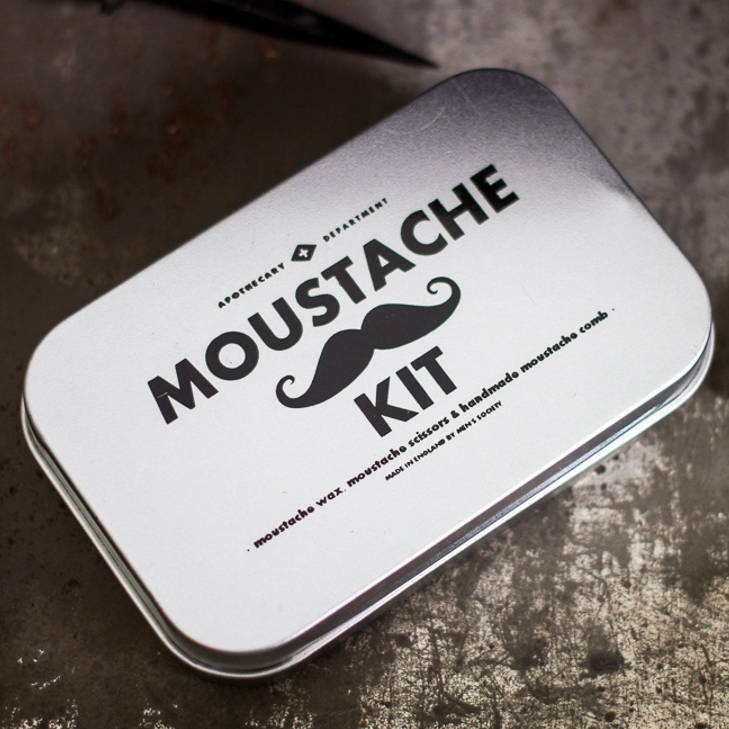 Moustache wax ingredients: bees wax, coconut oil, and vitmin E in a 12g tin. This product is dispatched to you by Men's Society.